The 3rd international One health conference was held from 15th -18th March 2015 in Amsterdam, Netherlands. 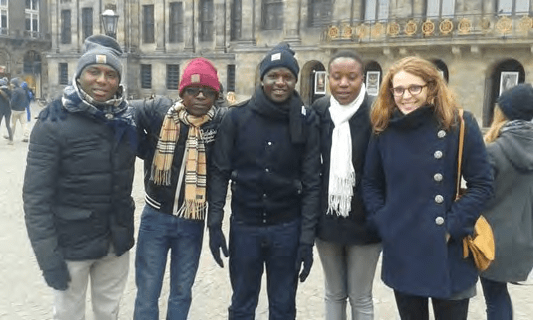 The Urban Zoo group was represented by Annie Cook, James Hassel, Dishon Muloi, Patrick Muinde, Lorren Alumasa, Maud Caron, Fredrick Amanya and Maurice Karani. The focus of the congress was on multidisciplinary collaboration involving human, veterinary and eco-health disciplines, other life sciences, social sciences, and informatics. The need for one health approach was stressed to ensure an improved and sustainable human and animal health which is key to improving monitoring, analysis and prevention of novel global threats posed by re-emerging (infectious) diseases and food safety hazards. The highlight of the conference were visits to various places which included Bilthoven Biologicals— a Polio vaccine production plant and National Public Health Institute (RIVM) with which we are col-laborating on the MERS Corona Virus investigations as part of the Camel Value chain. Another place visited was the Utrecht Science park which included Utrecht University facilities.